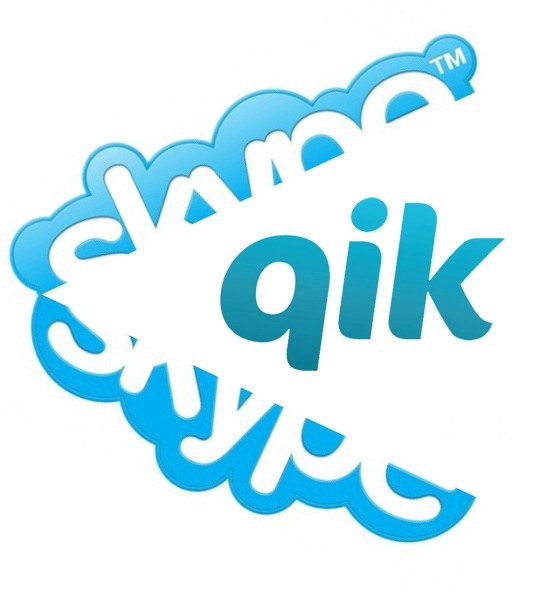 Word around the web is that Skype is in the process of purchasing Qik for a cool $150 million. While not expected, the deal isn't exactly surprising, either: Skype is already a major player in the internet phone business, and in 2010, Qik substantially expanded its presence in mobile video calling and streaming. In fact, 2010 was huge for Qik: they expanded their customer base from 600,000 to 5 million users - roughly an eight-fold increase. Clearly, the two businesses are extremely similar: Skype users can already make voice/video calls using Skype on various platforms, and again, Qik now has a substantial footprint in mobile video. Qik is already used by T-Mobile, Sprint, Nokia, and Samsung, and it looks like others are hopping in on the game, too. In other words, the services complement each others' quite nicely, and the deal adds a sizable number of customers to Skype's already large pool. Here's to hoping the process goes smoothly, and that Skype can integrate Qik without upsetting existing users. That's not too much to ask, is it?